A quick release strap designed for the photographer with multiple cameras. 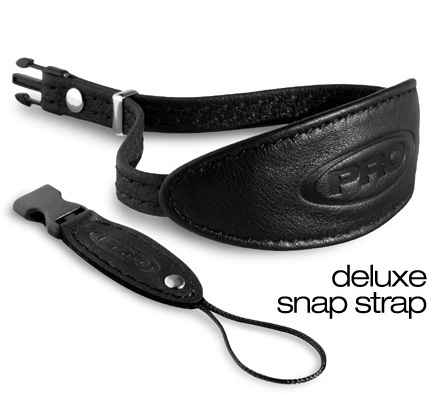 Snap Strap to be used with two or more cameras that may have very different strap eyelets. Choose between Nylon loop, belt, or split ring attachments (nickel and brass available). As with all of our straps, the slide buckle adjusts to fit snug against the wrist. Deluxe versions also have options of nickel, brass, plastic, or leather slides. A fun and versatile product to mix-n-match with your camera collection.